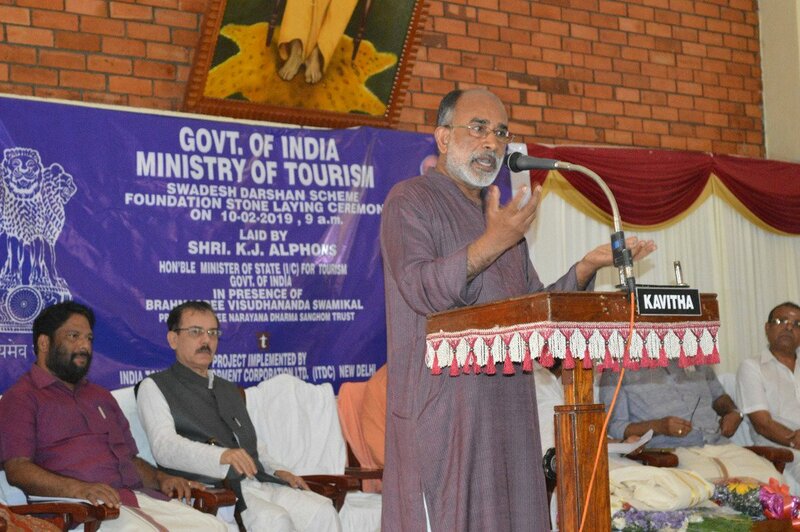 Union Minister of State for Tourism Alphons K J has laid the foundation stone for the first phase of Swadesh Darshan development works at places associated with Sree Narayana Guru. Alphons has inaugurated the Sivagiri Tirthankar Circuit at a function held at the Sivagiri Mutt in Varkala. The Sivagiri Mutt will have a tourist facilitation centre, enquiry room, waiting room, first aid, kiosks, clock room (236 Sqm), community dining hall with kitchen and audio-visual hall to be constructed at a cost of Rs 14.92 crore. Chempazhanthy Gurukulam will have tourist facilitation centre, enquiry room, waiting room, first aid, kiosks, clock room, cafeteria and a reading room (170 sqm), which will be constructed at a cost of Rs 1.24 crore. 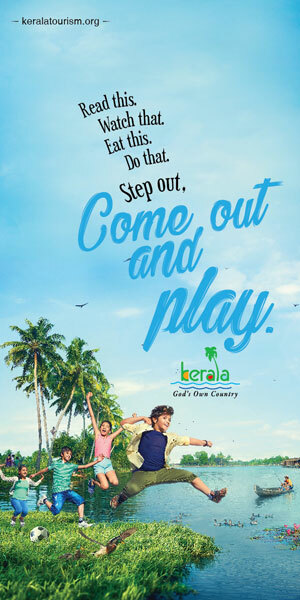 The Indian Tourism Development Corporation (ITDC) will be handling the both the Sree Narayana Guru Spiritual Circuit at Sivagiri Mutt and Chempazanthy Gurukualm projects. The places to be developed under the scheme are Chembazhanthy Narayana Gurukulam, Aruvippuram temple, Subramanya Sawmi temple and mutt at Kunnumpara and the Sivagiri mutt. The total project cost is Rs 170 crore. Sree Narayana Dharma Sangham president Swami Visudhananda, Trust general secretary Swami Sandrananda, Tourism Minister Kadakmaplly Surendran, MPs A Sampath, Richard Hay, V joy MLA, SNDP Yogam vice-president Thushar Vellappally and ITDC managing director Ravneet Kaur were also present at the function.